First Lutheran faithfully supported and is now proudly sending 14 youth and adults to New Orleans, LA to participate in the ELCA National Youth Gathering. They were commissioned and blessed in worship on Sunday, July 15 and left on the bus on Monday afternoon with smiles on their faces! 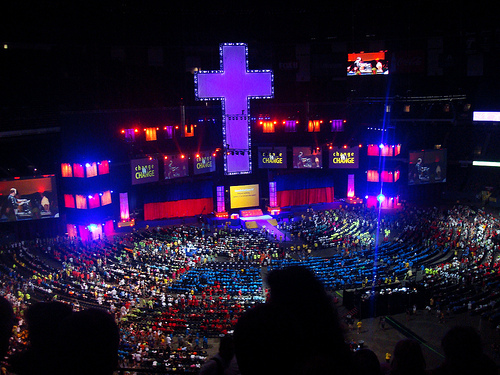 A summary of the 2012 gathering theme, CITIZENS WITH THE SAINTS, is posted here. To read about the speakers and musicians, click here. To follow along with nightly worship/program/speaker @ 7 pm (July 18-21) and again for Sunday July 22 worship @ 9:30 am, click here.